Other than having problems turning on the main TV, it was a very pleasant stay. What a beautiful city and resort. The Beach Club gave us the space and privacy we wanted. With my Granddaughter, Daughter and Boyfriend in toe, we swam in the pool and ocean, bbqd and played our favorite games: volleyball, washers and beach golf. Oh yeah, a side trip to Savannah and Jekyl Island were great day excursions. Great Sun, amenities, nice people and our great friends made for a terrific week! We had a beautiful week on Saint Simons Island! It was Easter week and things were a bit more crowded than usual but we were still able to get reservations at Delaneys and Nazarros, two of our favorite restaurants. Also enjoyed lunch at Barbara Jeans and the Sandcastle. Played golf at Sea Palms and spent several days at the beach. Beach Club is a great place to stay! Great place to spend with family on the 4th of July or anytime. Clean, comfortable and had everything we needed. 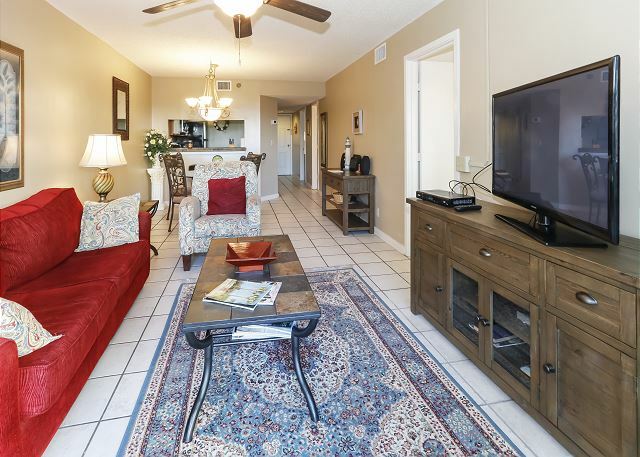 Good location just steps from the beach. 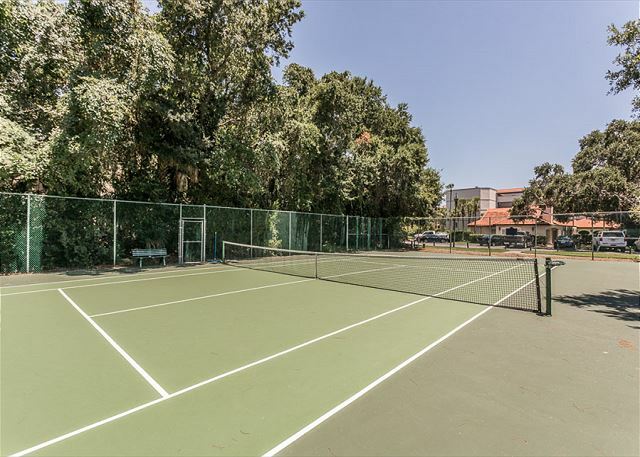 The Beach Club is an older property but is on a great part of the beach and the property is well maintained and the people who service the property are very friendly. Our particular unit was in desperate need of updating. While the kitchen was well stocked, the beds and furniture are outdated and not the most comfortable. The unit was not very clean upon arrival. 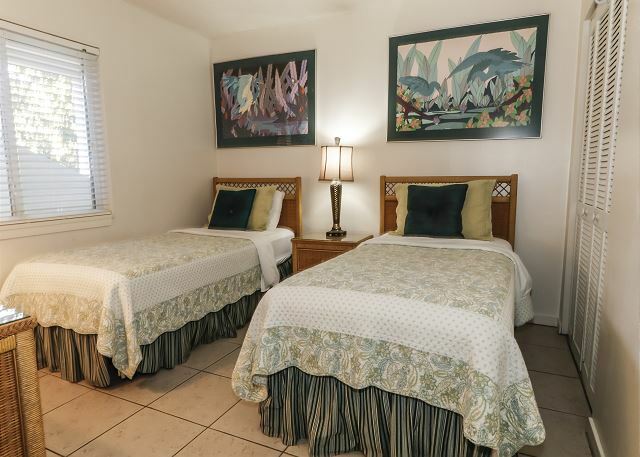 We would definitely work with Real Escapes again, as they were fantastic, and we would stay at another unit at the Beach Club but not in this unit. Loved staying at the beach club. This unit has an absolutely beautiful view. We have vacationed in St Simons for 13 yrs. Real Escapes is by far the best rental co. we have found. Their attention to detail and service is excellent!!! It was an enjoyable relaxing vacation . everything was as we expected an more. fantastic,my wife said ,she has relaxed an enjoyedth the whole envirment an people of the area. every one is very friendly an helpful. The condo was a great location my family. Since we have a 3 year old and 4 month old twins, we needed a place with direct pool and beach access to avoid multiple trips in the van. My sister also came to visit from Jacksonsville, FL. My toddler loved the kiddie pool and it was never too crowded. The condo itself had pretty much everything we needed to cook meals and save money there. The living area was a little smaller than I imagined but work well enough. Since it was a holiday weekend, we had some issues trying contact help for minor questions. The condo phones did not work, despite the phone information listed. Also, the front door lock should probably be changed as it's kind of tricky to use. 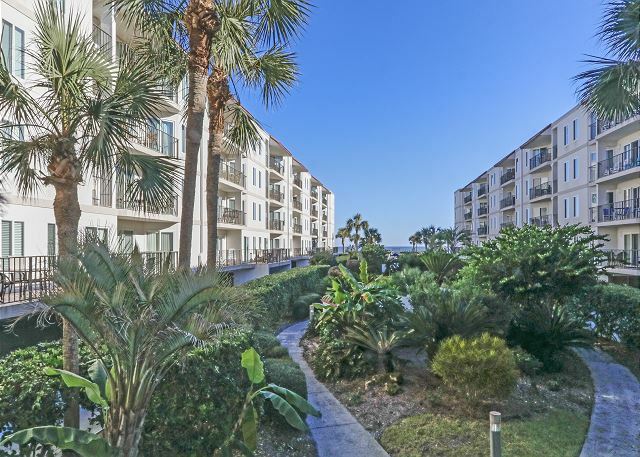 Fantastic location on the beach on St. Simon's Island. 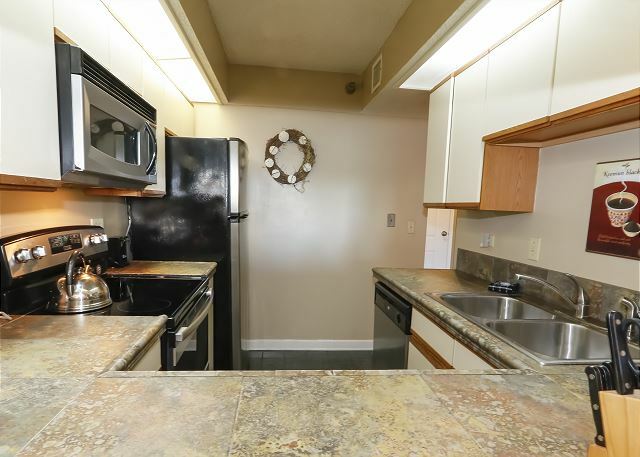 Clean condo, 2 bedrooms, sufficient kitchen and bathrooms, as described. I would rent there again for my family of 4. We have 2 young children, 2 and 5 years old. 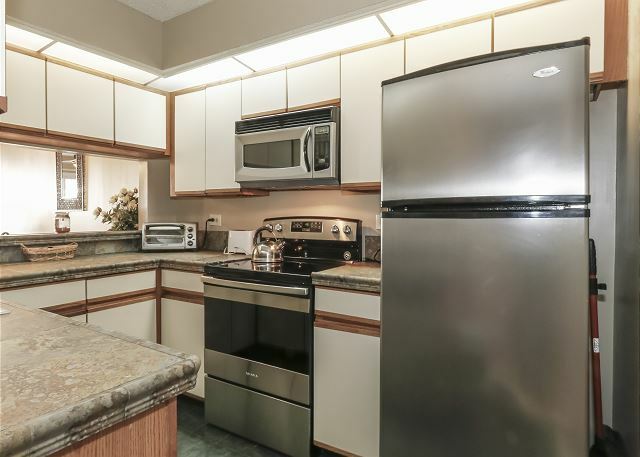 The condo was nice but, it needs some updating.. kitchen ware, tv and some linens were missing. Our kids and grandkids have been coming to the island and staying at the Beach Club for many years. This condo was the best so far! They enjoyed the view of the courtyard and the location was very convenient.We have already reserved for next year! We stayed in beach club condo 119 over Memorial Day weekend. 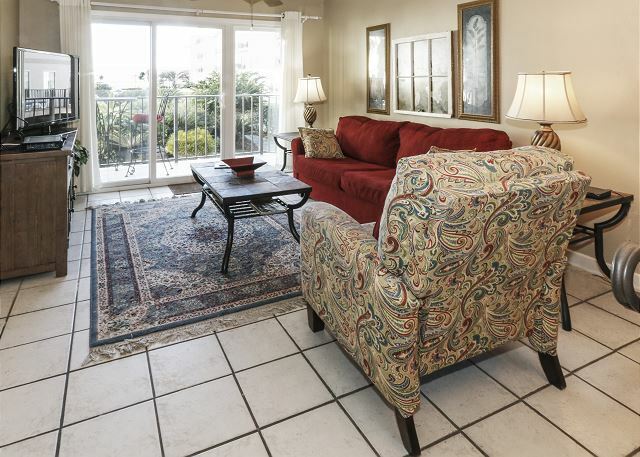 The condo is on the east beach, within easy biking distance to the pier. The beach club is fantastic and didn't seem crowded even for the holiday. 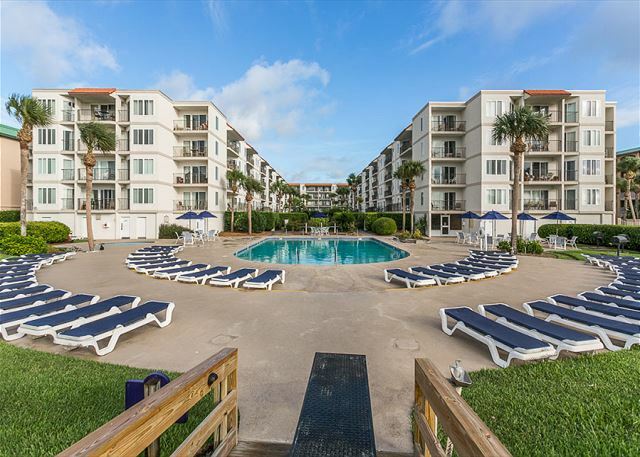 It's beautifully landscaped, the pool is wonderful with plenty of chairs and there is direct beach access from the pool area. Beach access is monitored so there is no riff raff getting into the beach club. The beach is wonderful and great for a long hike. It feels like a resort. 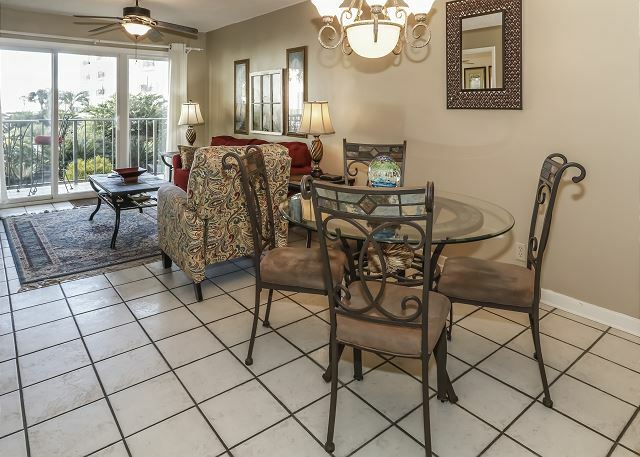 The condo had everything we needed and well suited to a family of 4. We are planning another trip in the future! We had a very nice time while we were at the Beach Club. There were a couple of issues with some maintenance at the condo but the folks sent someone over on Monday and she fixed everything. 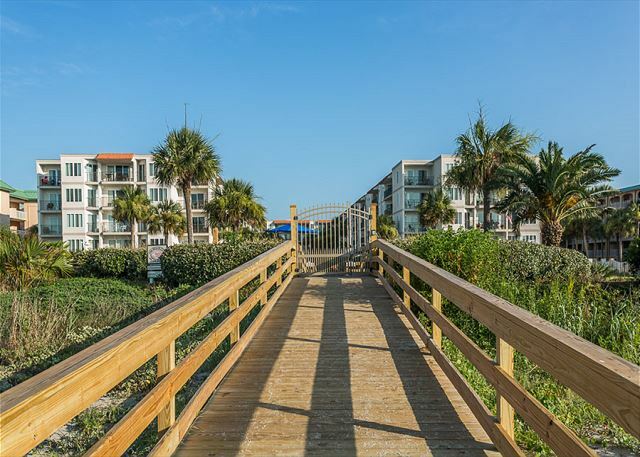 We love the privacy of Beach Club and the gated entrance. The Beach Club in October is the best kept secret around. 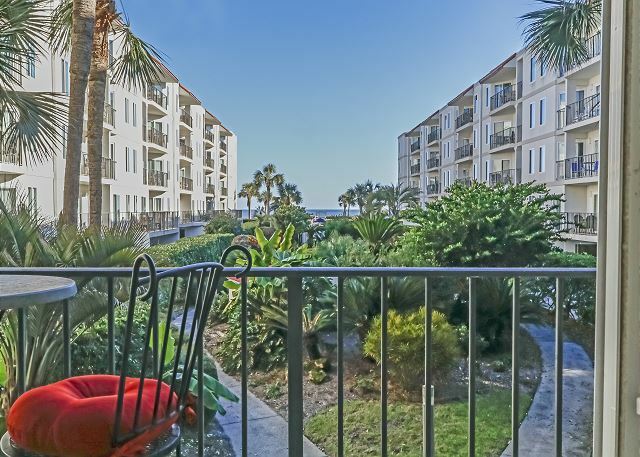 Perfect weather, a beautiful condo , lush landscape, and gorgeous ocean make for a great getaway. Our family of 4 had not been on a big family vacation in 10 years!! This experience was one our kids will ALWAYS remember. We all had a GREAT time. 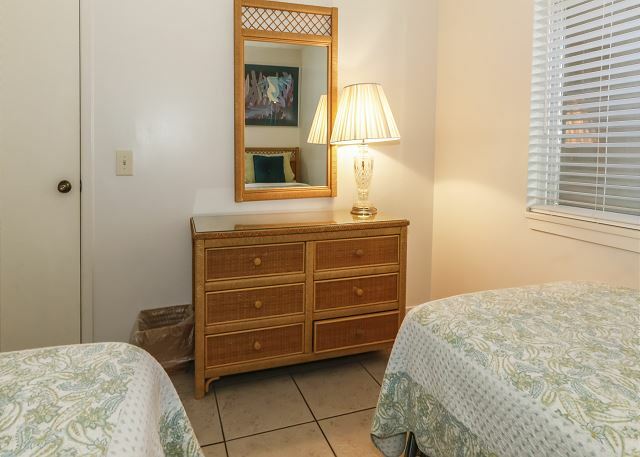 The condo was clean, comfortable and accommodating. The access to the pool and beach was great! We couldn't have asked for more. The property mgmt. made the whole process so easy from inquiry to check out. They were very friendly and professional. I would definitely recommend this to a friend. We plan to do this again too! we have been to the beach club 7 out of the last 8 years for our yearly vacation and really enjoy it every time. 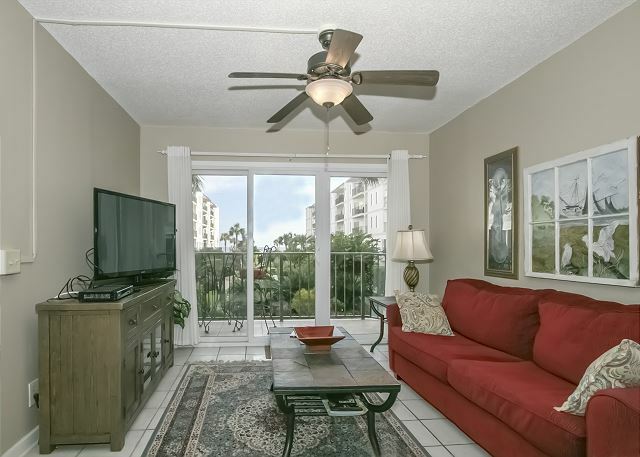 this unit was great - a little further from the beach, but still a great view and can see the water from the couch! the owner of the unit jerry was super to work with - literally called him the day before we left to ask about some of the furnishings to better pack and he picked up and was knowledgable and very helpful. 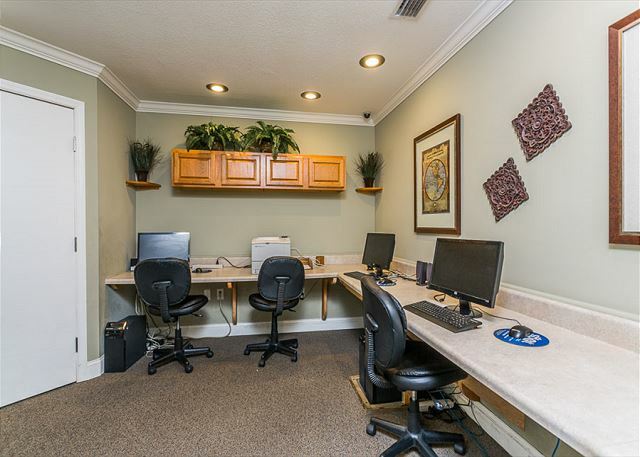 management company real escapes was also easy to work with and had everything ready to go for us upon arrival. 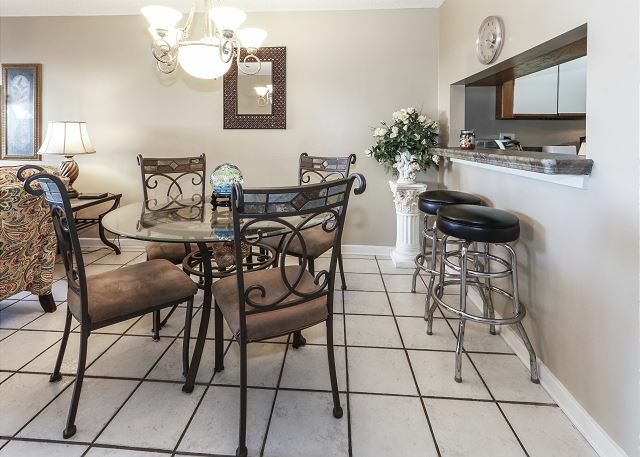 Nice Condo, pretty courtyard, close to everything. 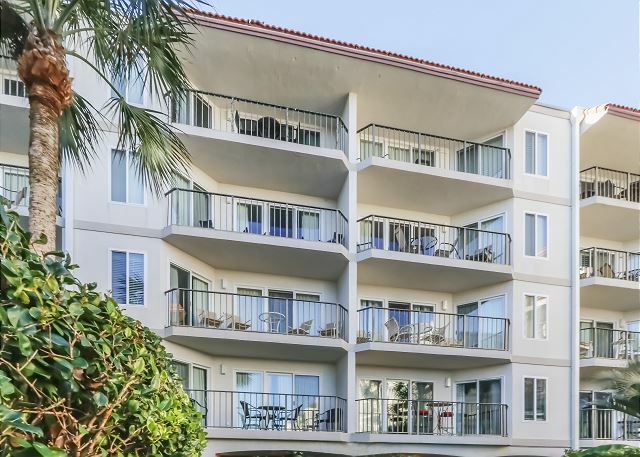 While the location was very good and the beach club was well maintained, the condo itself left a lot to be desired. There was a strange smell that persisted the entire time. 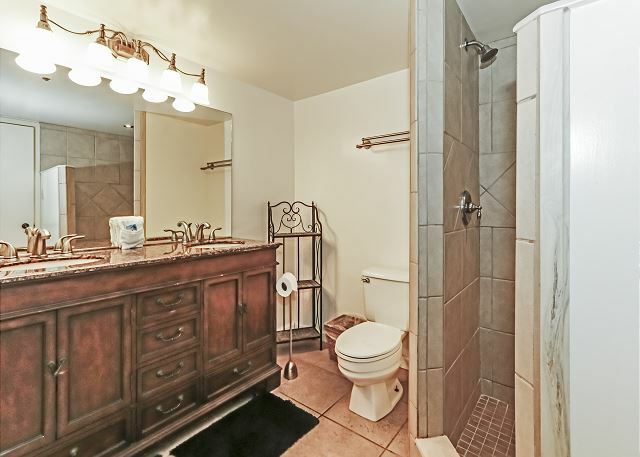 The owner needs to put a little money in to upgrade the furnishings. None of it matched and it was uncomfortable. The TV in the living room was a relic from the 1990's and did not work properly. There was even a used accounting textbook displayed in the pile of books to browse. Very classy. In short, for the money spent we expected more from the place. (1) Single beds in the second bedroom were reported as somewhat uncomfortable. My own kingsized bed was great. (2) The TV arrangement in the living room was a little outdated -- the tv was the old heavy tube version and there was no way to play blu-ray disks. Registered Nurse, 55yrs old with 2 grown sons. Could not have asked for more. Condo was lovely, clean and provided us with everything. The location in the complex as well as the island was perfect. Beach was right there. Will definitely come again. I've just gotten back from the perfect vacation. 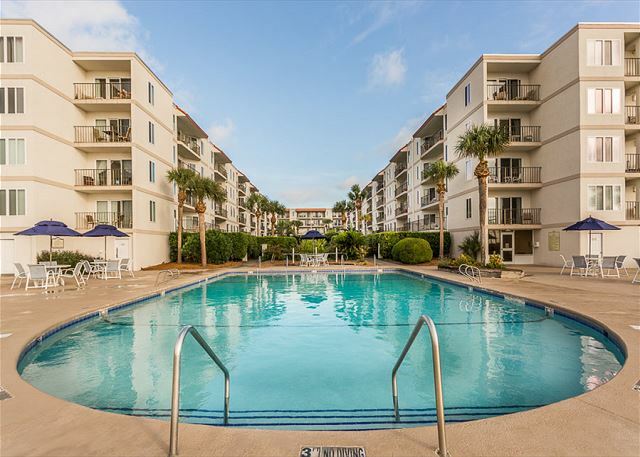 Our condo was everything that I had hoped and expected that it would be. Our view was beautiful. 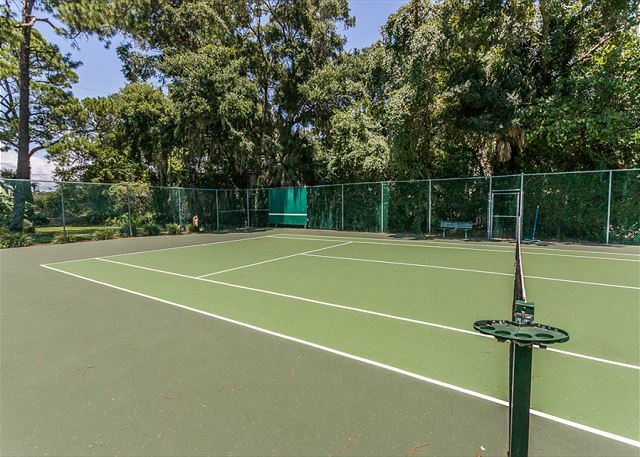 The property was well maintained and beautifully landscaped. 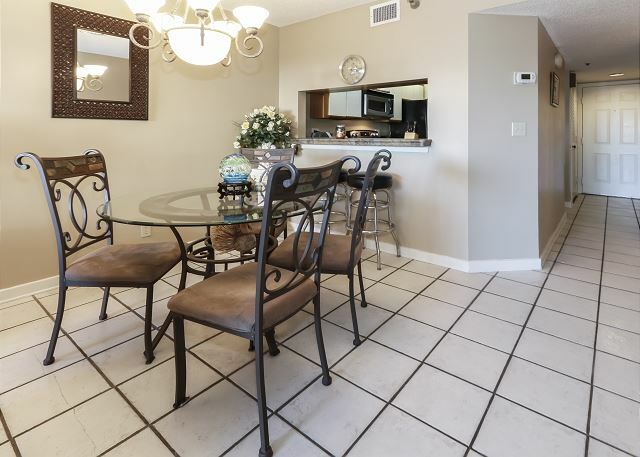 The condo was clean, furnished very nicely, convenient to everything, quiet, and generally perfect. 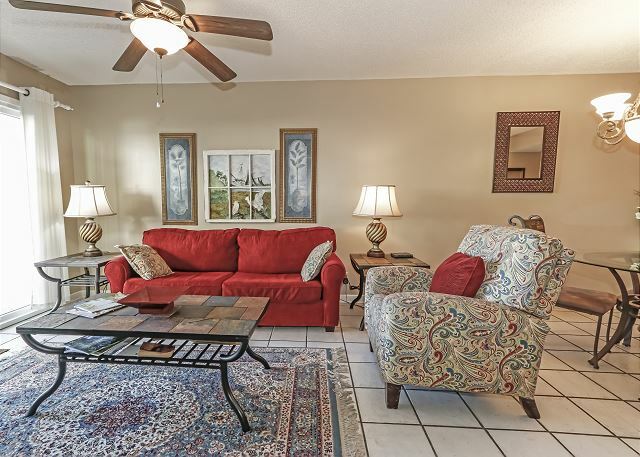 The realty company was friendly and very accommodating. I'm already planning was next trip back to Saint Simons and hope to stay here again! We enjoyed our 2week stay. 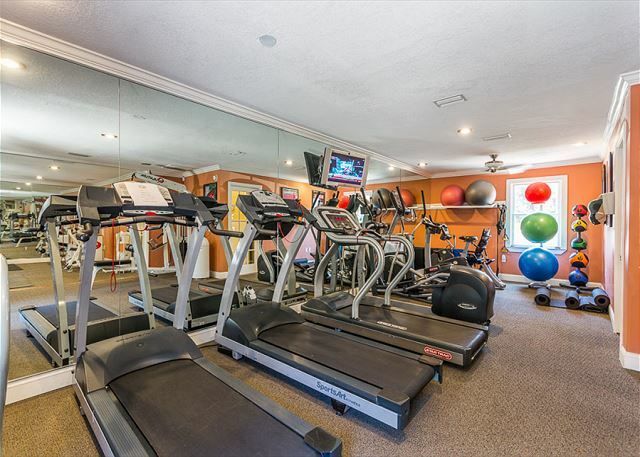 The property was very clean, had most of the amenities we wanted. Nice balcony, it was great to watch the birds in the morning. The pool was lovely, and the parking under the building was very convenient. 2 small issues...the wifi was very slow(yes, we do not go to the Golden Isles to be online, but it is mid October! ), and a comfortable armchair would have been nice. We had a pleasant week at St. Simons. 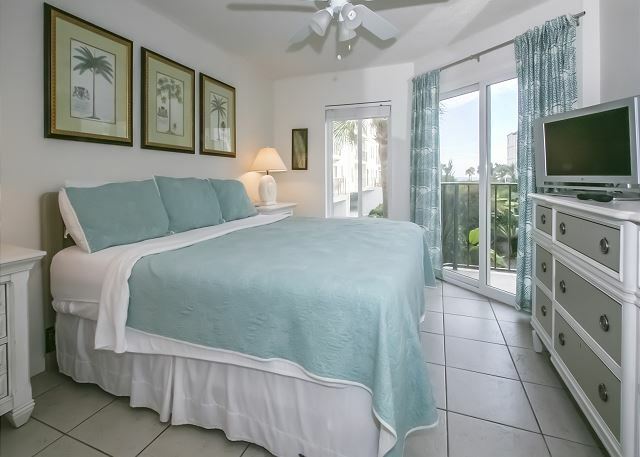 The property was exactly as described, clean, well maintained and provided excellent beach access. 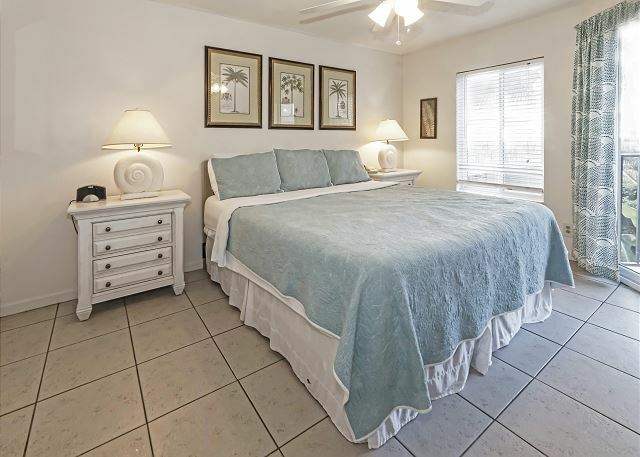 Our only issues with the condo were that it was a little cramped, the furniture was not that comfortable for lounging, and the fact that it was tiled floor throughout meant a constant battle sweeping up sand and cleaning off your feet. Although not the fault of the property, we found the beach at SSI to be less than optimal; it is not very conducive to long walks and shell hunting, and the wave action is minimal except at high tide. Good restaurants, though, and we enjoyed the Village area. My sister and I had a great time at Beach Club. The grounds were beautiful!! Everything was well maintained and easy access. Our condo was by the elevator so did get some window noise by my bed. Ear plugs help! The condo was clean but the AC was a issue. Never did get it just right. It was always to warm for us at night. Otherwise, we would use Beach Club again. Love the location. Real Escapes were very helpful in choosing the area in which to stay. The owner of the Condo was great in explaining the sights and town. 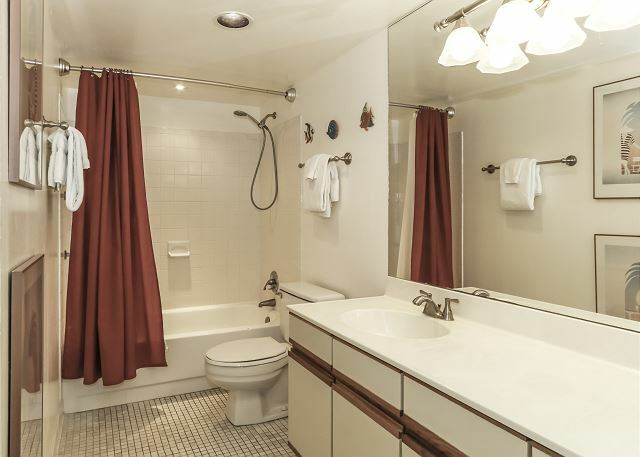 The Condo was clean, very nice and in the best location, just like he said. We had a wonderful time and would definitely stay here again!